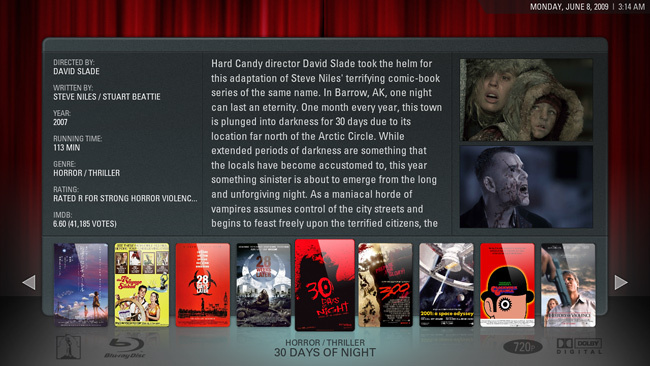 Controlling our Home Theater PC with a wireless 360 Controller - Kellbot! | Kellbot! We recently set up Xbox Media Center (XBMC) on the computer that’s attached to the TV. XBMC actually has nothing to do with xbox – it was a homebrew media center application for the original xbox that has since been ported to Windows/Linux/Mac/iOS. We’re pretty close to what we feel is the “perfect” setup, but getting here was a headache and a half so I’m putting up a series of posts documenting our journey. We’re currently using a wireless keyboard/mouse combo with our media PC, which is clunky and sort of a pain to use. I started looking into media center remotes. We also have a collection of wireless 360 controllers, and only very rarely use all four at once. And so my mission began. 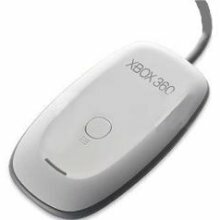 Microsoft did at one point make a wireless 360 controller receiver for the PC, a little white dongle that plugs in to a USB port. Unfortunately, they discontinued it some time ago. You can still find the receiver bundled with a controller some places, but I had a hard time finding an OEM standalone receiver. Fortunately, the Chinese knock-offs on eBay are still readily available. I got one for $13 including shipping, it’s a little white wireless dongle with a USB cable. Unsurprisingly, it did not include a driver disk. Equally unsurprisingly, Windows had no idea what it was when we plugged it in. We downloaded the official Microsoft drivers for the official dongle. You can find them here: http://www.microsoft.com/hardware/en-us/downloads , click under the gaming heading. Our media PC is running Windows XP. Everyone else seemed to have a perfectly fine time installing the drivers by hand. I guess we’re just unlucky, but the damned thing just wouldn’t install. Turns out, we had the same problem this guy had: the dongle wasn’t identifying itself correctly, and thus Windows didn’t recognize that it belonged to the driver. Step 1: Find your errant dongle in the hardware manager. Double-click the Unknown device. If you have multiple unknown devices, you may need to use the process of elimination to figure out which one it is. If the number you see is 0719, you have a different problem than I did. Sorry. Now if you’re lucky, you can run through the update driver dialog, point it at the folder containing xusb21.ini, and Windows will recognize the device as a Wireless Xbox 360 Receiver. Hooray! You are now halfway to tv-controller bliss. On to the next part, getting the stupid thing to work with XBMC. Oh man! WELL PLAYED!!! I just bought the cheap knock-off receiver and plugged it in installed the drivers…no dice. I tried the many things I typically do when having driver issues, as I’m in computer repair, and used the official Microsoft drivers, and still no luck. Respect man! I’m 31 and this is the first time I’ve ever replied to a post on a blog or post. Worked like a charm man! I lost the installation CD that was bundled with cheap Chinese receiver .. year did not use .. reinstalled windows .. and .. not able to get to work gamepad. I spent a couple of hours trying to solve. And thanks to your article, I solved the problem for a couple of minutes ..